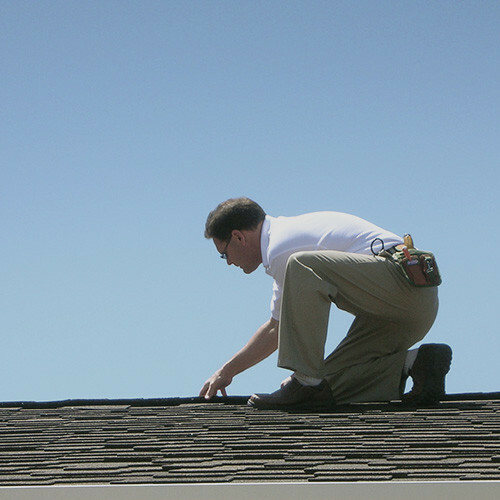 When you’re searching for quality flat roof repair, flat roof leak repair, flat roof repair costs, flat roof repair company, flat roof specialist, flat roof maintenance, flat roofers or flat roof repair near me in Phoenix, Mesa, Tempe, Scottsdale, Glendale, Gilbert, Apache Junction, Chandler or any of the other cities in the Phoenix Metropolitan area; Right Way Roofing is here to help! As a flat roofing company we know how to repair a flat roof the right way and provide the best flat roof repair costs. We are proud to offer flat roof installation, maintenance, and flat roof replacement to the business and homeowners across the Phoenix Valley. Common keywords used to find our flat roof repair service include: flat roof repair, flat roof leak repair, flat roofing company near me, how to repair a flat roof, and flat roof repair costs. We provide all types of flat roof repair services to help get your roof back in great condition. See below for our list of repair services. "Dear Johnny, Lori and April. Thank you so much for responding so quickly to our call and for the excellent service David provided. He's a wonderful ambassador for your company with his professionalism and genuinely warm personality. Pleasedon't ever change!" "I want to thank you all for the felt you dropped off at my house. I don't know how to thank you enough other than you can say you all helped out a disabled veteran with this goodwill gesture. I will recommend Right Way to my HOA and hopefully you may gain some business from them." "To the noble bunch at Right Way Roofing; you’re in a cut-throat profession; full of those charlatans. We see them swim into our area, do the snake charmer thing, and then try to sneak away before the pros come in. Well, you're the pros - and our loyalty stays with you. Thanks for tolerating my crazy husband. Thanks for the great job, again." "Your people do a wonderful job - Above and beyond very nice people." "Hi April - Just wanted to thank you for your help in getting our roof repaired. You were always cheerful and had a "can-do" attitude in getting our questions answered/problems resolved. Hope your boss knows how great it is to have someone with a good attitude on the phone." "Gary, Thank you so much for everything you did for us. When we get ready to do any repairs you will be the person we call. Thanks again." "Dear Lori, Just wanted to write and let you know how pleased I am to have picked your company to re-roof my house. You all did a great job and it looks really great. All of your employees impressed me with their knowledge and friendliness. Also, they are to be congratulated on cleaning up every day after their hot day on the roof and also the final cleanup. I have seen other companies leave a terrible mess. When Earl came out and gave us his estimate he explained exactly what you all were going to do. He even made an appointment to meet with the insurance adjuster on our behalf. This was greatly appreciated. I knew then that you were the company I wanted to do my roofing job. Thank you for an excellent job and keep up the good work. " "To Whom It May Concern: I would like to commend Gary for doing a great job on the roof of my house last February. Gary even spent a lot of his time communicating with me via paper and pen, making sure that I understood and was satisfied with the work done since I am deaf. I am well-pleased with the outcome and would recommend The Right Way Roofing Company to other residents living in our community. Thank you." "Johnnie and Lori, I just wanted to take a minute to drop you a note. All of your employees were courteous and worked hard. They are all nice young men who seem to want to do a good job and please the customer. In particular, I would like to mention two of whom I am especially impressed. They would be Dan and David. These two gentlemen are impressively knowledgeable and conscientious of the trade in general and of their particular area of expertise. Dan is the ultimate perfectionist. He went out of his way to make sure I am happy. David has so much pride in his work. I think he would rather do it all himself just to be certain it's done to his standards. He's even critical of the shade of paint he uses. What great young men. I sincerely do miss having them around. They are just good folks with which to be associated. And personally to Johnnie; thanks so much for spending time with us. We enjoyed your conversation with us more than you know. Thanks again and say hello to the troops." "Dear April, Thank you so much! Gary was a big help explaining everything." "Thanks again for your courteous, gracious and kind assistance and consideration in the roofing project. Take care." I wish I could mark more than 5 stars. Our experience with Right Way Roofing was excellent from start to finish. We had a tile roof that was over 25 years old but had not leaked and did not seem to be in any sort of distress. However, given that we live in a desert, we determined to replace the roof this year with as little environmental impact as possible. Right Way Roofing felt the same way. We were able to re-use many of our old tiles and replace only those that were broken or weakened. I believe this also saved us a bit of money. Now our roof looks brand new. The bird stops along the edge are much better than the "homemade" ones that came with the house when we bought it. We've shared our experience with friends and have given them the number to call for roofing repairs or replacements. Another highlight was the cleanliness of the crew. Each day, they made sure our roof (which was done during the monsoon rain season) was sealed up tightly and we experienced zero leaks. Furthermore, the crew cleaned up all of their trash at the end of each day. With the exception of the giant roll-away garbage bin in my driveway, you would likely not have known we were having our roof replaced. They arrived on time and worked all day. The workers were friendly but did not intrude on our lives. Such a great pleasure to work with the company. There are many various types of flat roofing. Foam roofing is the most popular type, but there are 3 others to know more about: built-up roofs (BUR), modified bitumen, and single ply. Polyurethane is sprayed precisely onto the roof, where it “foams up” and hardens before a protective coating is applied. Because of its elasticity, foam is remarkably useful for roofs with unusual shapes and/or contours. Foam has a couple of distinct advantages over the other types of flat roofing systems. One example is it helps protect against thermal shock and it can greatly reduce your homes A/C bills. Built-up roofing (also known as BUR) is what a lot people call “hot tar roofing.” As a centuries-old, time-tested roofing process, BURs are made up of 3 or 4 layers of asphalt felts that overlap each other and are then joined together with heated asphalt. Built up roofs need be protected from the elements and foot traffic by some sort of surfacing material such as pebbles or small rocks, a mineral granule covered top coating (a cap sheet), a continuous coat of hot asphalt or a specialized reflective coating. Modified bitumen roofs, almost like BUR, are made of strengthened asphalt saturated felts. On the other hand, unlike BURs, the asphalt inside the felts is modified with a plastic or rubber polymer (thus the name) to enhance its elasticity, hardiness, and general performance. Because of the additional polymers, modified bitumen is frequently applied in a single layer with seams that overlap each other. They can be bonded to the roof with hot asphalt or a special adhesive, or by using propane torches to melt the asphalt underside. Some modified bitumen will need protective surfacing materials, commonly mineral granules or a liquid type covering. Single ply covering layers are made of plastic, rubber or a combination of the two. As the name suggests, single ply are applied in a single layer. Single ply installation is easy: the membrane is rolled out, its seams between sheets are welded using chemicals, heat welded or glued to each other, and the membrane is attached to the roof with fasteners (usually roofing screws or flat plates), ballast (like rocks) or a type of adhesive. Do you have a flat roof leak? If so, Right way roofing provides flat roof leak repair services to fix that leaky roof. We know the most common places where leaks start and can help inspect what be causing your roof to leak. Our team finds these problem areas quickly and then provides an affordable quote for your leaking flat roof. We use the highest quality roof repair products and methods to ensure you’ve got durable repairs. Over time or after storms roofs can have damage. Strong winds can pull at roofing materials and branches falling from trees can puncture the surface of the roof. All roofs including flat roofs need maintenance from time to time. Right Way Roofing knows the right way to repair your flat roof and can help you detect leaks, recommend affordable repairs, and provide durable and reliable repairs. Here we list the most common problems involved with flat roofing systems. A lot of homes in the area have foam roofs; these are typically made from polyurethane foam. Polyurethane foam roofs also can experience degradation from time and wear. If the acrylic coatings used to seal the foam are compromised it can lead to leaks through the foam and into your home. These roofs can also be damaged by excessive traffic on the roof or if things puncture the roof when items fall on it. If technicians are working on the roof and screwdrivers or other tools are dropped it can puncture the layers and cause leaks through the roofing material. Our roofing technicians are highly trained in foam roof repair and can help seal up the leaks and return your roof to be the waterproof barrier you need it to be. Another popular type of flat roofing is modified bitumen. This product is similar to BUR roofing systems in the use of combined layers of bitumen and felt yet differs in the fact that these layers are made in the factory instead of applied individually on the roof. Problems with modified bitumen can range from punctures, blisters, and seam defects. Age and abuse from foot traffic and technicians working on the roof can cause damage that leads to leaks. Our roofing team can help seal up these issues or replace roofing to help protect the interior of your building or home. No matter the type of roofing material we can help repair your roof. The first sign most homeowners have that there is something wrong with their flat roof is a leak. The yellowing of ceiling materials or dripping water are unmistakable signs that there is a problem. Finding the leak can be tricky due to the properties of water. The entry point isn’t always directly above the point where you find the water damage inside the house. Our highly trained technicians conduct detailed inspections of the roof and roofing materials to find the point of entry. They then are able to help guide you towards the most cost effective solution to have your roof repairs done. Looking to install a new flat roofing system? Right way roofing offer affordable flat roof installation services. Generally speaking, flat roof installation costs average between $250-$350 per sq ft. and come with warranties ranging between 10 and 20 years, but the flat roofing can last up to 25 years with proper care. Looking for roof replacement services to completely replace your old, worn out flat roofing system. We offer replacement services too! Give us a call today for more details about our replacement services. There are certain areas of your that need to be maintained in order to keep your roofing system working at maximum efficiency. Roof maintenance will help us spot potential problems in these areas before they become major issues. Maintenance will help your roof last many years longer! If your flat roof is leaking our flat roof repair service will find the leak, offer affordable repair quotes, and provide long lasting solutions. We take every precaution necessary to protect your property during the roofing process and you will find that our crews do a great job of cleaning up the work area each day. Our service area includes: Phoenix, Gilbert, Chandler, Mesa, Tempe, Glendale, Peoria, Surprise and more. Schedule Flat Roofing Services in Phoenix today by giving us a call at East Valley: 480-232-5458 or West Valley: 602-299-8851. Contact us for any Roof Repairs or installations in Phoenix! New Intro: When you’re searching for quality flat roof repair or flat roof leak repair in Phoenix, Mesa, Tempe, Scottsdale, Glendale, Gilbert, Apache Junction, Chandler or any of the other cities in the Phoenix Metropolitan area; Right Way Roofing is here to help!